Unlike West Virginia or Oklahoma, the issues of immigration will probably take center stage in Arizona, as nearly 45% of the school system’s students are Latino and more than half of Arizona’s public school students hail from communities of color. The state – which has passed tough immigration laws in recent years – has been successfully sued for attempting to ban Mexican-American studies in schools under threat of defunding school programs. 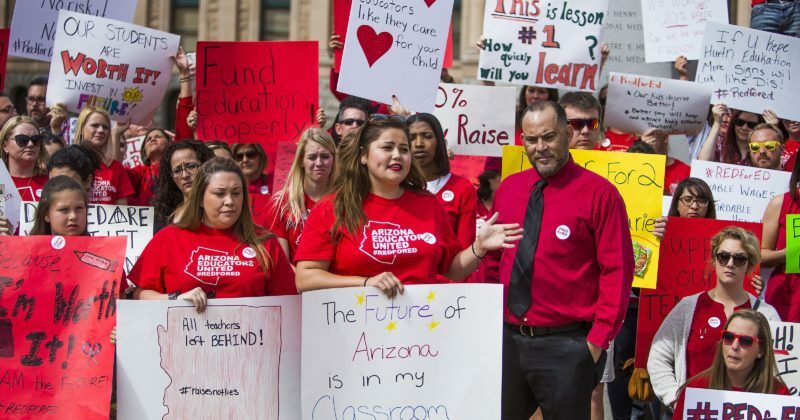 Grijalava said the Arizona teachers strike was calling out the racism that he believes is at the core of the underfunding of schools in the Latino community. “It might not be overt [racism], but it’s certainly covert,” said Grijalva. Go to the Guardian to read the full story. 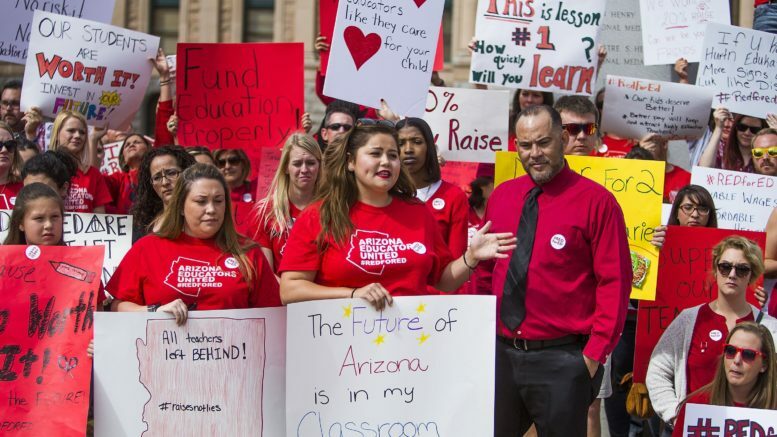 Be the first to comment on "Immigration to Be Central Focus in Arizona’s Teachers Strike"